You don't have to wear makeup to look your best. In fact, natural beauty is more popular than ever. 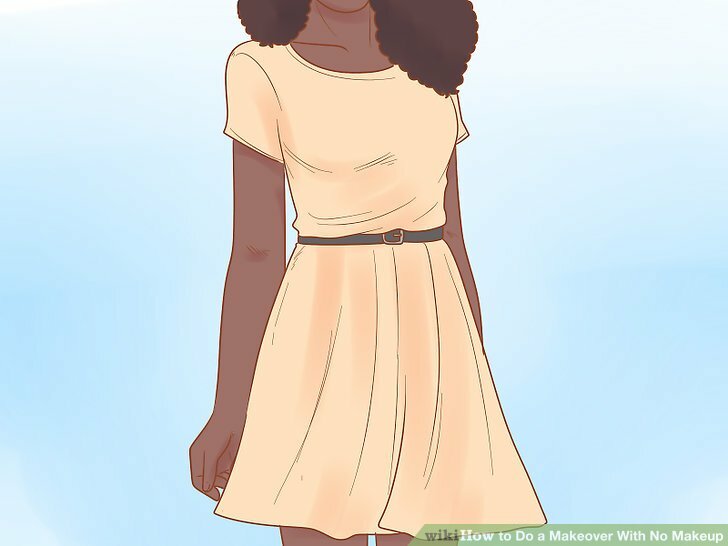 By taking good care of your skin and experimenting with your hair, clothes, and accessories, you can make over your style while still looking like yourself! Wash your face twice a day. Wet your face, then massage a gentle cleanser onto your skin using a circular motion. Wash your face for about 2 minutes, then rinse away the cleanser thoroughly. Facial cleansers are often formulated based on your skin type, so pay attention to whether your skin is more oily, dry, acne-prone, or a combination of both. Once a week, gently wash your skin with a washcloth to exfoliate any dead skin cells. Pat your skin dry with a soft, clean towel after you finish washing it. Apply a toner to balance your skin. Toner is a product that helps clean out your pores, balance the pH of your skin, and protect you from impurities in the environment. 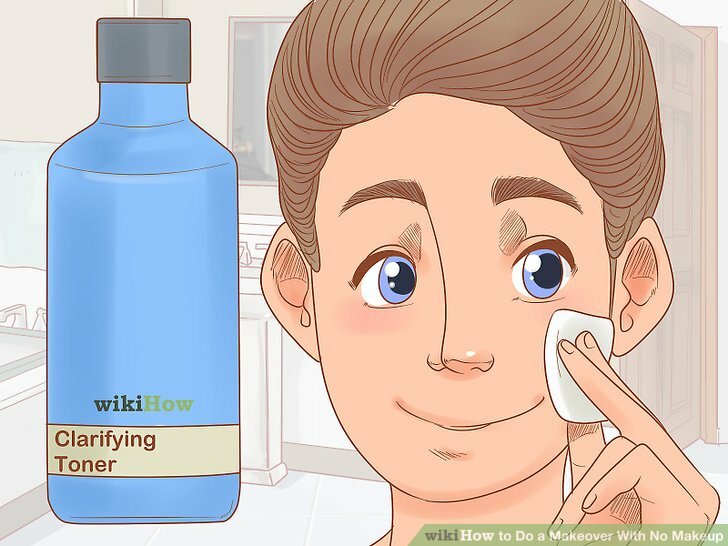 After you wash and dry your face, apply a little toner to a cotton ball and dab it all over your face. Avoid using a toner with alcohol, as this can dry out your skin. Instead, look for one with hydrating ingredients like witch hazel or rosewater. Apply moisturizer to your face, hands, and body every day. Keep your skin healthy and hydrated by applying a moisturizer once or twice a day, especially on your face. Your healthy glow will bring out your natural beauty, no makeup required! Since the skin on your face is thinner, use a special facial moisturizer for the skin there, then use regular lotion on your hands and body. Treat acne with an over-the-counter ointment. If you do get a breakout, avoid touching the bump, as this could lead to inflammation and possibly infection. 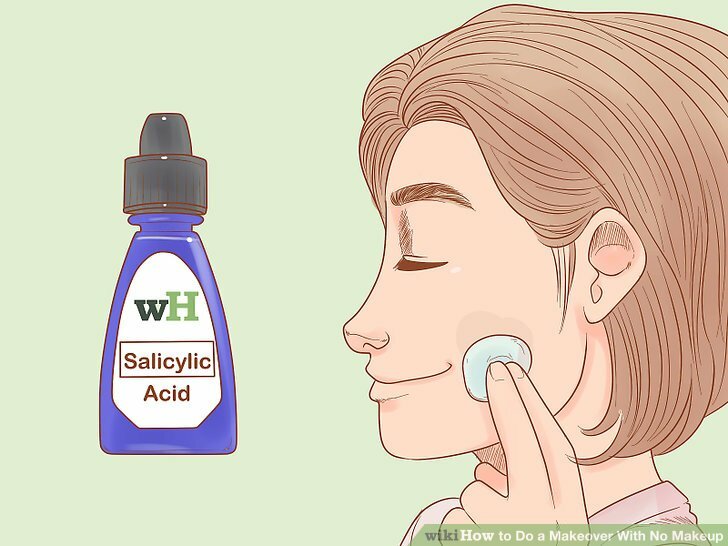 Instead, apply a dab of a cream or ointment containing salicylic acid or benzoyl peroxide, which will help reduce redness and help your acne heal faster. Acne doesn't have to disrupt your natural approach. 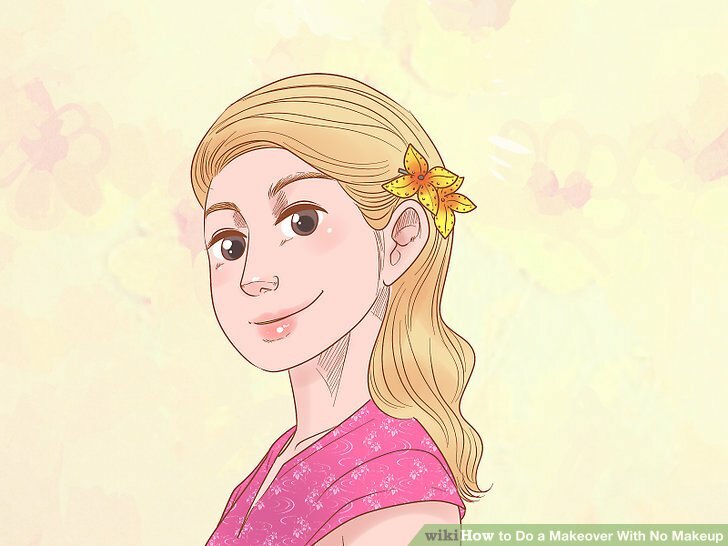 In fact, covering an acne spot with makeup can make it worse. Groom your eyebrows. Simply brushing your eyebrows with a spoolie or a clean, soft toothbrush can help you look more put-together. 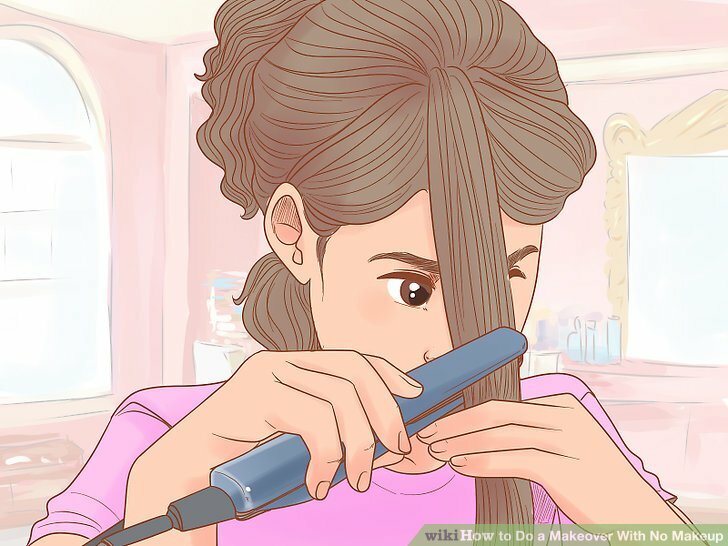 Brush the hairs upward first, then smooth them out in the direction they naturally grow. If your brows don't want to stay in place, you can spray a little hairspray or use a clear gloss on the spoolie or toothbrush to help tame them. If you like, you can also pluck your eyebrows with tweezers to shape them. 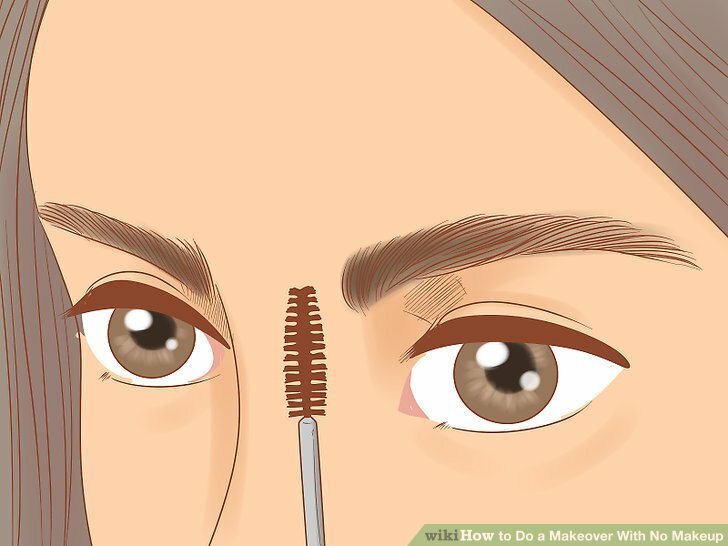 Start by removing any stray hairs that fall above or below your brows. Don't overpluck, or you might be left with unnatural-looking gaps in your brows. Straighten your hair if it's normally curly or wavy. If you're used to wearing your hair in curls or waves, you can get a whole new look simply by straightening your hair. Divide your hair into small sections, then run a flat iron down the length of your hair from the roots to the ends. 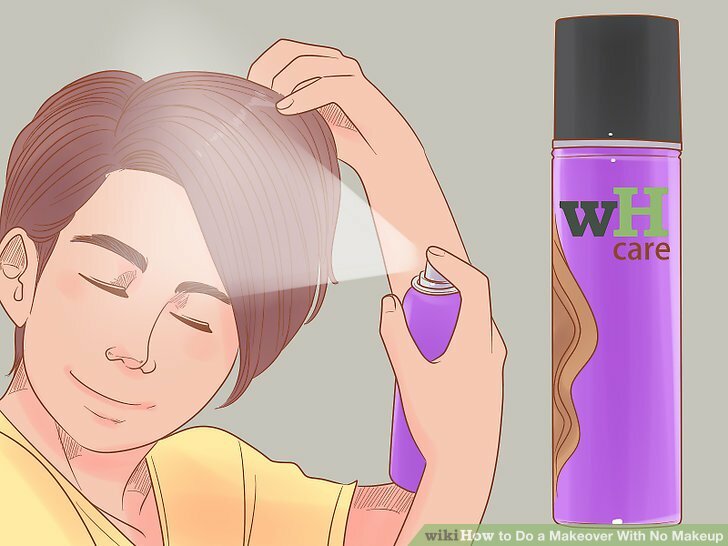 If you want to protect your hair from damage, spray a heat protectant over your hair first. Use a curling iron if you want to try out curls. If you've always worn your hair straight, your makeover might need some bouncy curls! For a quick and easy way to curl long hair, pull it into a ponytail on top of your head, then curl sections of the ponytail. 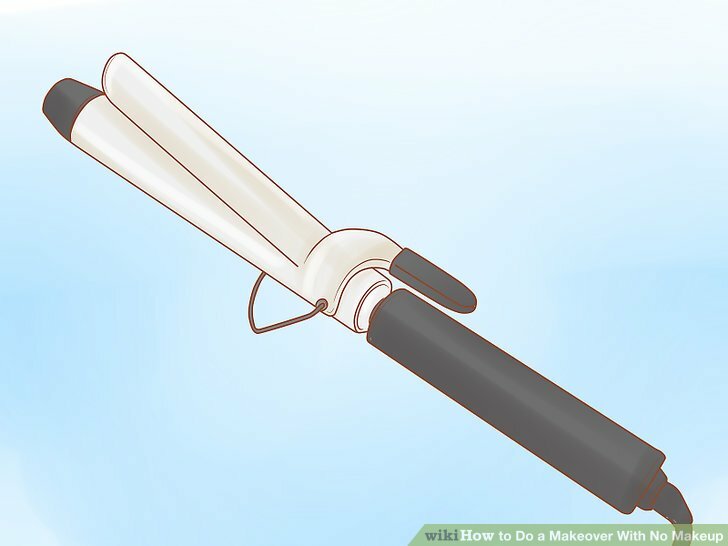 If you have short hair or you want tight curls, use a curling iron with a barrel. If your hair is longer, you might need a barrel instead. Apply gel or spray to add volume to short hair. If you've worn the same short-on-the-sides, longer-on-the-top cut your whole life, you might not think there's much you can do about it. Try rubbing a little hair gel between your hands, then running your hands through your hair to distribute the gel evenly. Then, use your fingers to mess your hair up to create a brand-new, piecey style! You can also use this technique to create a spiked hairstyle. Add gel and slick your short hair to one side to look dressier. Add barrettes, headbands, or other accessories to your hair. If you want a simple way to add variety to your hairstyle, try adding in a fun accessory that fits your style. In addition to being stylish, hair accessories are usually practical, keeping your hair neatly out of your face. You can pin your bangs back with a jewelled hairpin, wrap a lacy headband around your hair, or wear sparkly clips for a fun, playful look. Add in new pieces a few at a time. 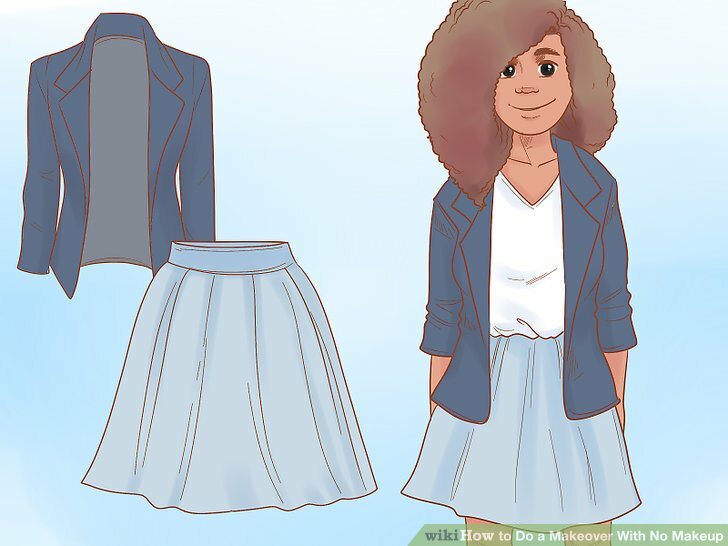 Most people don't have the money to get a whole new wardrobe all at once, so the best way to get new clothes is to pick up 1 or 2 pieces at a time. Whenever you have a little extra money, stop by a shopping mall or go online to find something you really like. If you really want new clothes but you don't have any money, ask for gift cards to your favorite stores for your birthday or holidays. Check out second-hand shops for an inexpensive way to create a unique wardrobe! In the meantime, think of creative ways to style the clothes you already have! Pick a signature style. You can create your own look by having one item or a certain style that you wear all the time, called a signature piece. Try to think about your personality and what you want to express about yourself with your wardrobe, then try to find a special piece that communicates that. For instance, if your style is glamorous and over-the-top, you might wear a fur or faux-fur jacket everywhere you go when the weather is cold. If you have more of a skater or punk style, you might wear a leather cuff bracelet every day. If you want to build a preppy style, you might wear a ****on-down shirt several times a week, either by itself or layered under other pieces. Mix and match the clothes you have. Take a few pieces out of your closet or dresser and lay them on your bed. 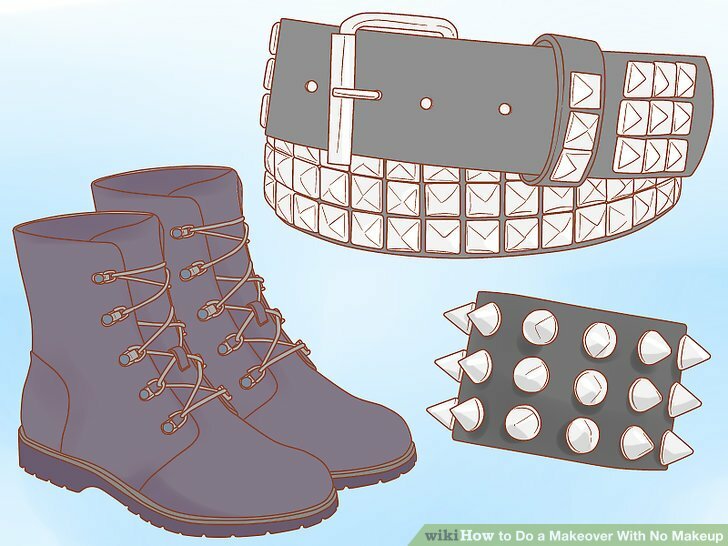 Think about how you normally wear them, then imagine how you could pair them with other items to make a new look. For example, if you have a ****on-down shirt that you always wear with slacks, try wearing it open over a T-shirt with a pair of relaxed-fit jeans and sneakers instead. Look at fashion blogs or pictures of stylish celebrities to get inspiration for your new look! Try doing this before you go shopping, then make a list of a couple of pieces you wish you had. This will help you stay more focused when you're picking out new clothes! Swap clothes if you have a friend who's the same size. If your best friend is always envying one of your T-shirts and you really love that red hoodie of theirs, maybe you could swap for a week! 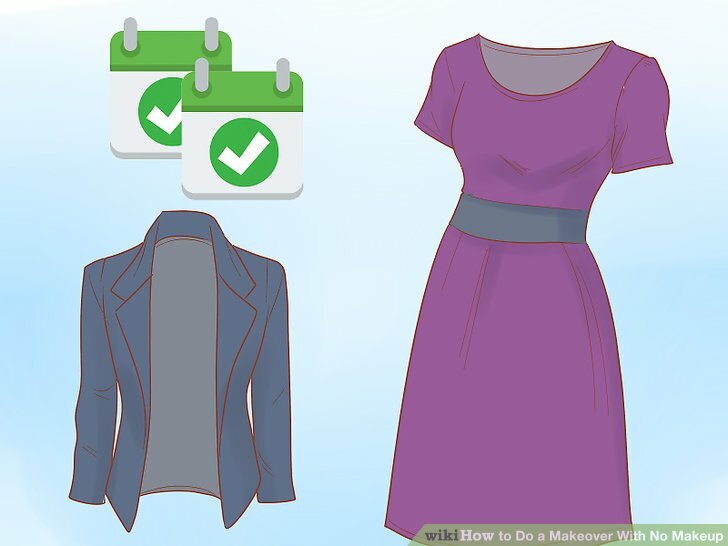 If you're exchanging clothes that you have duplicates of or that you never wear, you might even decide to make the swap permanent. You could even invite a few different friends over and have everyone bring 1 or 2 items that they can swap. 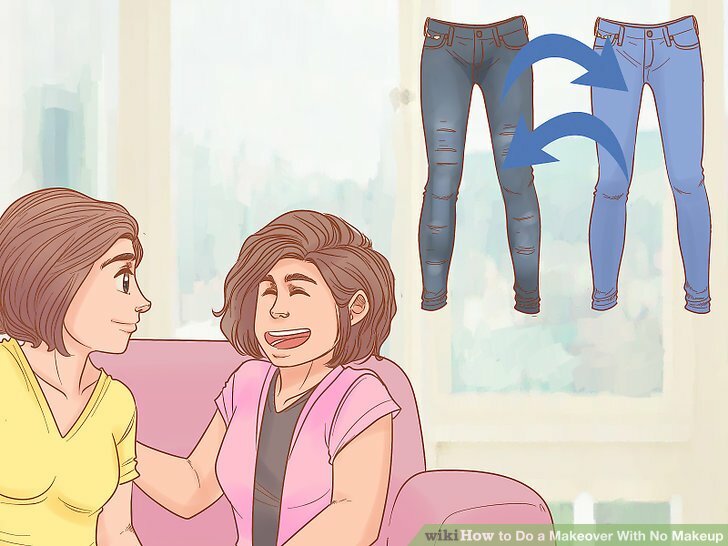 If your parents buy your clothes for you, it's a good idea to ask their permission before you swap clothes so they don't get upset. Wear a stylish watch to make any outfit look more put-together. 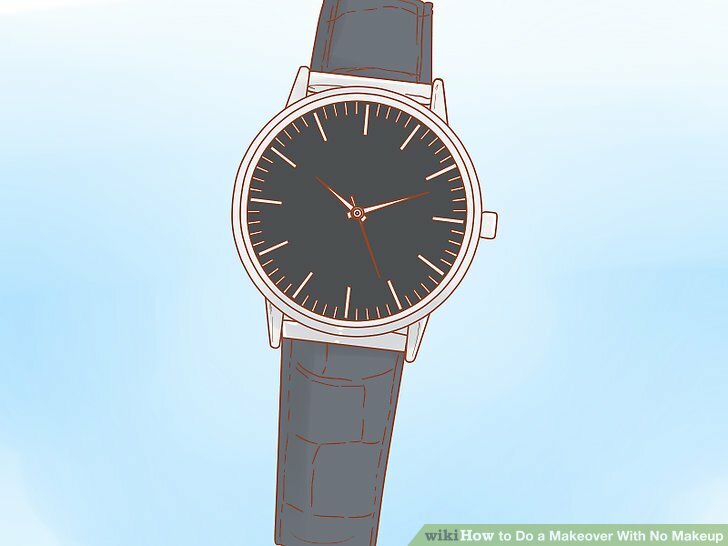 A simple watch with clean lines can pull an outfit together more than you might expect. Depending on your style, you might favor a small, dainty watch, or you might prefer a chunky sports watch. For even more versatility, choose a watch with an interchangeable band so you can dress it up or down depending on what you're wearing. Add simple jewelry if your style is understated. 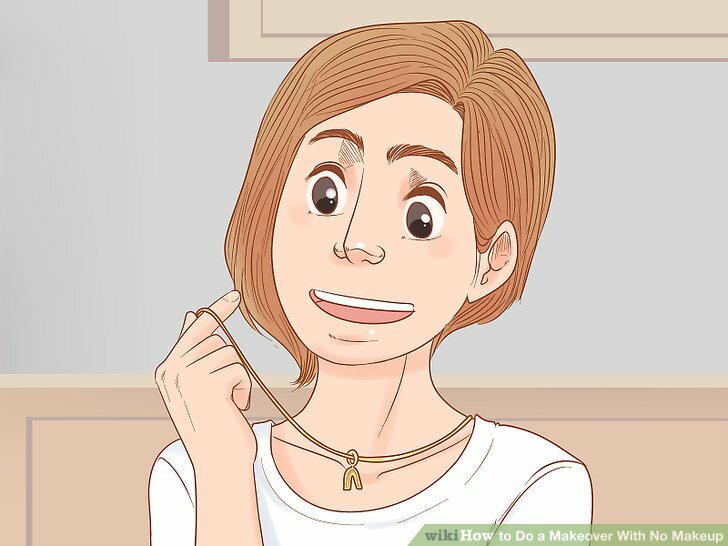 A pendant on a chain, a simple leather bracelet, or a pair of stud earrings can help enhance your style, making you look like you put a lot of thought into an outfit, even if it's something you've worn before. Figure out what suits you best! For example, if you're a girl but you prefer a more tomboy style, check out the men's accessory wall to see if there's a cuff bracelet that you like. Go for bold statement jewelry if you want to stand out. A big necklace, dangly earrings, or chunky bracelet can add pizazz to even the most simple outfit. If you do wear a statement piece, though, keep the rest of your jewelry minimal. 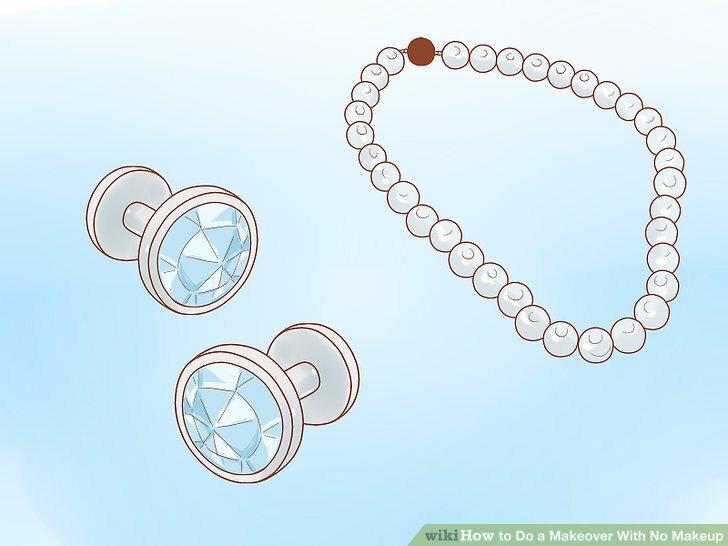 A brightly-colored necklace looks great over a plain black or white T-shirt. Put on a belt for a subtle way to enhance your outfit. Belts come in every imaginable color, material, and style, so the options for using them to accessorize are nearly endless. If you don't have a belt that matches your outfit, try wrapping a scarf through your belt loops! Wear a leather belt if you're dressing up your outfit, or opt for a canvas belt if you prefer a cool, relaxed style. Polish up your shoes before you put them on. Shoes go through a lot, and it doesn't take long before the wear and tear starts to show. 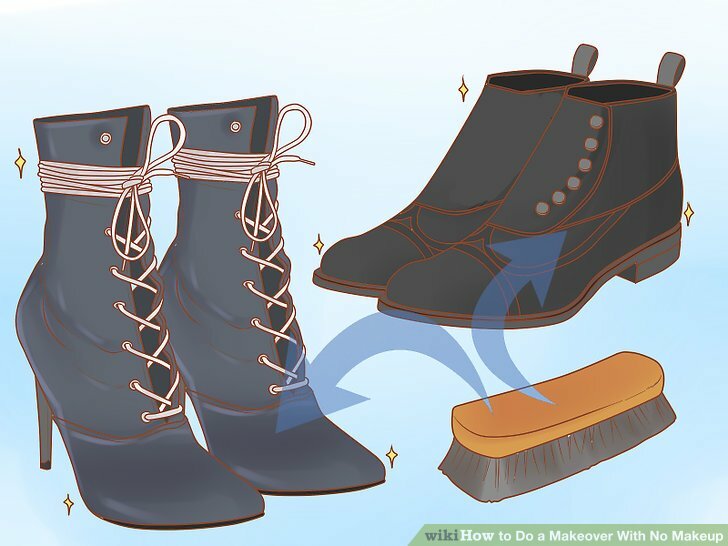 Even if you can't get new shoes, you can give new life to the ones you already have by cleaning them up. Wipe down your shoes with a damp cloth, scrubbing lightly to remove any stains. If your laces look dingy, either wash them in the washing machine or replace them with new ones.